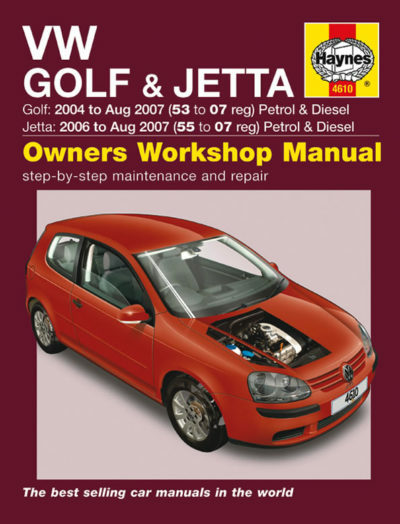 Product code: 4610 Kategorier: Engelsk verkstadshandbok, Volkswagen. Golf / Golf Plus (Mk ‘V’) Hatchback and Estate and Jetta Saloon. Petrol: 1.4 litre (1390cc), 1.6 litre (1595cc and 1598cc) and 2.0 litre (1984cc), inc. turbo.Diesel: 1.9 litre (1896cc) and 2.0 litre (1968cc), inc. turbo-diesel.